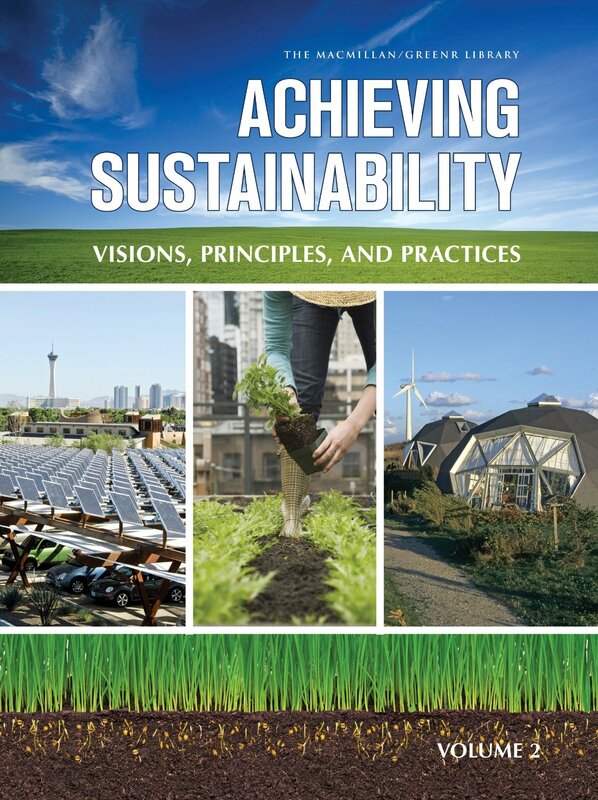 Transformational Media Lab Director Beth Karlin is a featured contributor in the recently published volume of Achieving Sustainability: Visions, Principles, and Practices, edited by Debra Rowe. Designed to increase understanding, inform actions, enrich academic assignments, and enhance research, this volume is a reference work intended to meet the needs of students and educators in high schools, community colleges, and four-year colleges, as well as the interested layperson. Aimed at readers who are not experts in the field, the material presents and analyzes the underpinnings of the multi-disciplinary concept of sustainability. A two-volume encyclopedia containing more than 130 signed entries, Achieving Sustainability covers economic and environmental ideas, as well as governance, demographic, and socio-cultural aspects of the concept. Karlin’s contribution on “Attitudes and Behaviors” discusses the role of human attitudes and behavior in both contributing to and combatting climate change; sections include risk perception, the attitude-behavior relationship, barriers to sustainable behavior, and interventions to change behavior. Karlin’s article can be found here and the entire volume is available on Amazon.com or directly from the publisher. Karlin, B. Attitudes and Behaviors. Achieving Sustainability: Visions, Principles, and Practices. Ed. Debra Rowe. Detroit: Macmillan, 2014.